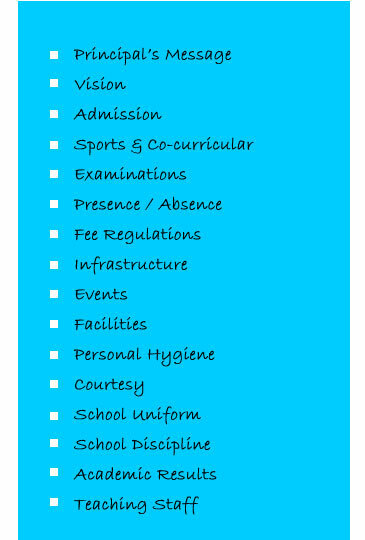 If a pupil is suffering from a contagious disease, the Principal should be informed as soon as possible and the pupil must not be sent to the school until the danger of spreading the infection is over. Pupils are expected to wear clean and proper uniform. The clothes should not be skin tight. Boys must have their hair cut regularly. Girls with long hair should neatly tie them with Navy blue ribbons. Girls with short hair should have them neatly combed. Care should be taken to keep them off the face with plain Navy Blue bands. Finger nails must be cut regularly and kept clean. Pupils must wash hands before and after eating. Students should eat slowly and must not drop or spill any food.